Zorelit.io | Play Zorelit.io free on iogames.space! 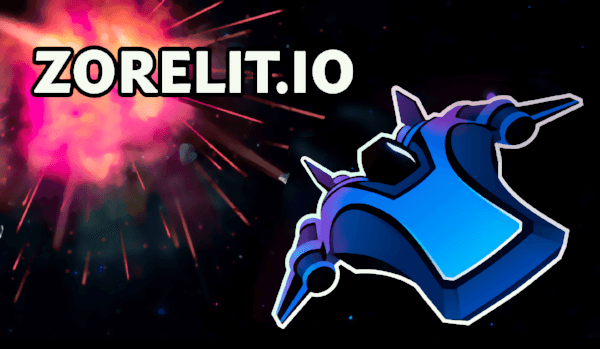 Zorelit.io is highly dynamic space shooter game. You fly a starship with special on-board weapon. Destroy enemies and asteroids, collect bonuses to level up and gain power. The game is good for stress relief: you fall into the thick of battle immediately after joining. Current game mode is free for all. Attack every one and destroy as many enemies as you can to win the round. If you want to avoid aggressive battle and want to get some levels by destroying asteroids, it is better to have powers to escape, like Engine Booster that you have from start or Force Dash. - Blaster and Engine Booster. - Ray and Space Warp. - Bomb and Black Hole. Ship is controlled with a mouse or touch pad. Skilled players also use Space to hold direction while aiming at other point.